How do you feel about this statement in your mind, body, and spirit? If you’re busy, and you would like to work with this statement, set aside the time you need to look deep inside of yourself. Relax with yourself. 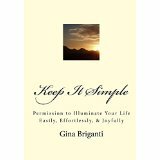 Get our your journal, your paperback copy of Keep It Simple: Permission to Illuminate Your Life Easily, Effortlessly, & Joyfully or your Kindle copy, and fill in the statements you identify with. Feel free to play around with the statements until you find what fits for you. Remember to put a date on them. While you’re there, look at what you have written before. I find those older entries illuminating. I know that who I am is good enough. 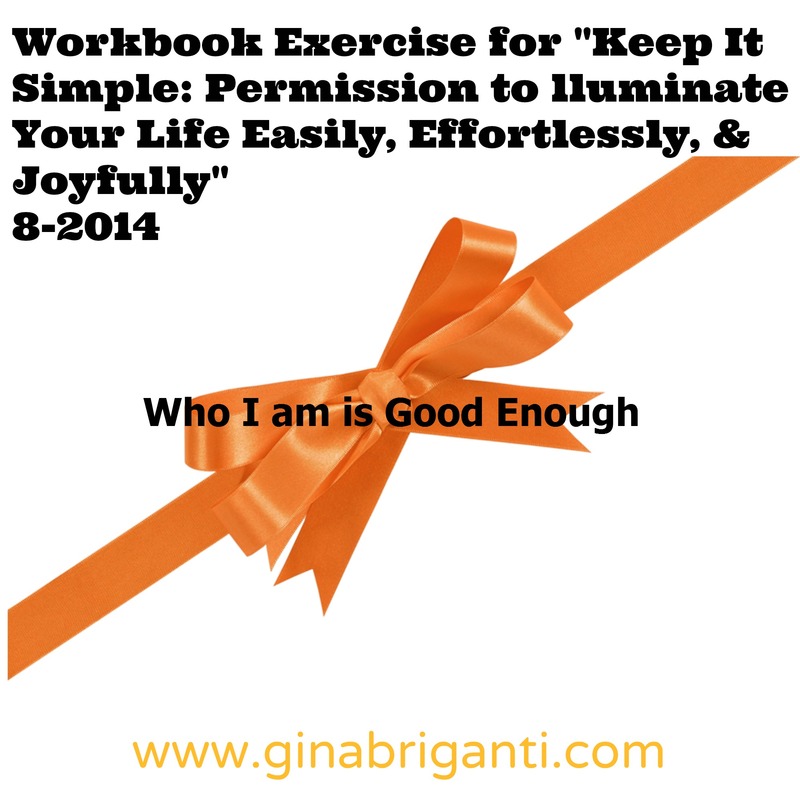 I accept that who I am is good enough. I love that who I am is good enough. I trust that who I am is good enough. If you have any questions, please feel free to ask. I’m here to help. Are you signed up for my newsletter? I have some very special surprises coming up in my September newsletter. If you’re not signed up, you can sign up now. Those statements are easy to say, but difficult to take in. A very important lesson to learn… Definitely food for thought.